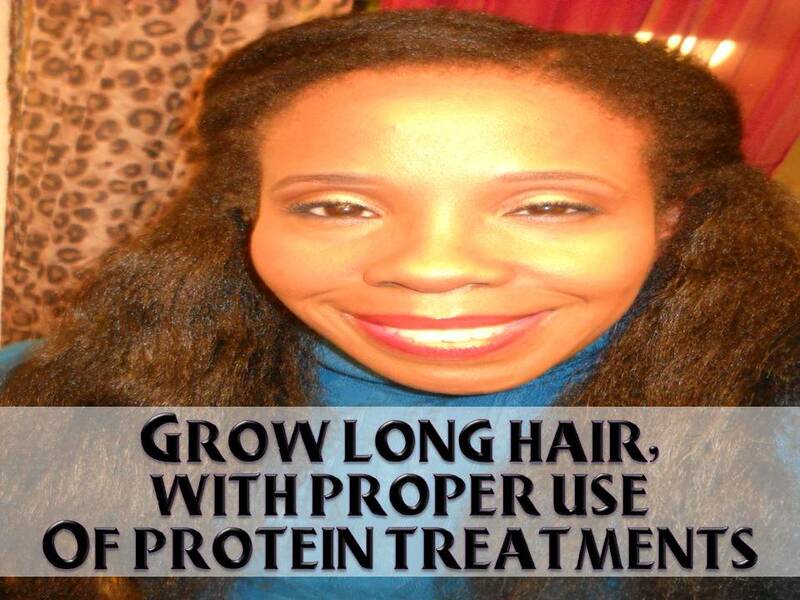 Protein treatments are temporary treatments which adhere micro particles of protein to your hair. These protein particles make the hair stronger and less likely to break. With less breakage you are able to keep your hair strands longer, thus reaching your length goals easier. Protein also helps to make the hair appear fuller. Protein benefits are temporary, therefore they must be repeated on a weekly or monthly basis, depending upon the type of protein treatment you use. Some people experience dry hair after doing a protein treatment, thus leading them to believe they are protein sensitive. The problem comes from not adding enough moisture back to the hair, after the protein treatment. Because the protein is sitting on top of the hair, you will need to double your moisture regimen, post protein treatment. For most people simply doing a moisturizing deep conditioner, after a protein treatment will suffice. However for a small number of people they will need to double up the moisture, the entire week after doing a protein treatment. It is normal for hair to feel different, after a protein treatment. Do not expect your hair to feel like a moisturizing deep conditioner. Your strands might feel thicker, that is the protein on them. Do not judge the treatment, based off how your hair feels. Judge it based off whether it has reduced your breakage or whether the hair feels stronger or not. It can take several treatments to stop the breakage. 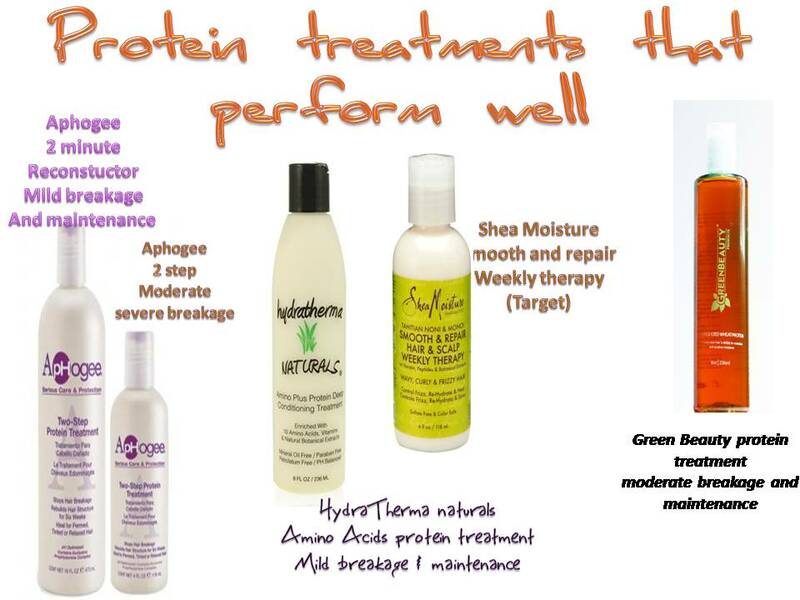 Protein treatments treat mild to moderate breakage. This article is addressing the issue of dry hair after doing a protein treatment. For more information about protein and answers to other protein questions see: The guide to protein treatments. This after treatment, regimen is for after you use a hard protein treatment. such as aphogee 2 step treatment. A hard protein treatment gives you the strongest reinforcement. A hard protein treatment will dry hard on the hair during application. 1. Follow up your protein treatment with a deep moisturizing conditioner. 3. Use a leave in conditioner that is protein free or that contains a small amount of protein. Your hair already has some good protein on it, no need to keep adding more. Be mindful of protein in the top five ingredients of your leave in conditioner. 4. Deep condition hair each week using a protein free or low protein conditioner. Since your hair already has protein on it from your hard protein treatment, there is no need to add more protein when you deep condition. So deep condition with protein free or low protein conditioner. Following these steps will enable you to reap the amazing benefits of protein treatments. You will see your hair retain more length. You will reach your length goals faster and enjoy fuller styling hair.